Pesanggrahan Sub-district provides two lands in different locations for green open spaces (RTH). Those lands are located on Jl. Bintaro Barat RT 12/11 and RT 16/08, Bintaro Urban Village.
" 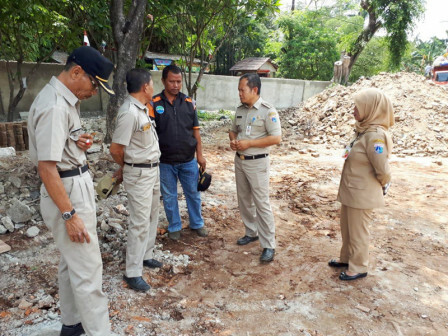 Those Jakarta Government's lands have 1,500 square meters wide in total"
Pesanggrahan Urban Village Head, Muhammad Fadjar Churniawan stated, those two lands are included in Jakarta Government assets. "Those Jakarta Government's lands have 1,500 square meters wide in total," he informed, Tuesday (11/6). Bintaro Urban Village Head, Dimas Prayudi stated, those lands will be used to be water infiltration sources to get better air quality in the area. "We will cooperate with South Jakarta Forestry Sub-dept. about types of trees that will be planted," he mentioned .